A modest and modern establishment that has all the characteristics of a five star restaurant, without the pretentiousness. On top of the world in Brooklyn is a restaurant that personifies charm, homeliness, and excellence. Salty Pidgin is a modest and modern establishment that has all the characteristics of a five star restaurant, without the pretentiousness. Walking in, you'll be enchanted with how bright, light, and airy the large space is. Through the use of neutral colours and natural materials (think leather upholstered benches and wooden finishings), you'll feel right at home getting ready to order. However, nothing good comes easy and here's the hard part: deciding what to order. Scanning the menu, there is an amalgamation of flavours and twists. These are classic dishes that lean on myriad cuisine styles such as French, Turkish and Japanese. Boasting a smaller menu than most restaurants, every dish confidently stands out and will have you playing tug-of-war when deciding what to get. I recommend asking for suggested wine matches with each dish. The extensive collection of wines can be overwhelming, but never fear, the servers have the knowledge to find you the perfect drop. To share, you can't beat oysters. Fresh from the Clevedon Coast and Orongo Bay (market price), you're in for a treat. The Clevedon Bay oysters are fried in tempura which offers a delicately crispy case that hides fresh, melt-in-your-mouth oyster. Countering this fried goodness are the Orongo Bay which offer a refreshing cleanse on the palate — particularly when paired with the cucumber, chive and lemon mignonette. Moving onto our entrees, we chose a fish crudo ($17) and the confit pork belly ($17). The fish was fresh caught tarakihi but this changes with the catch. The fish was a light sensation. Imagine fresh white fish served on a spread of creamy and spicy avocado, coupled with a refreshing tang of ruby red grapefruit chunks and a dollop of bacon emulsion. There was no tastebud left untouched. The pork belly was moist and tender, and had been expertly cooked to retain every juicy drop of flavour. Bathing in a shallow hot and sour broth, you'll experience an exciting tingle on your lips. What's best though, is that satisfying crackle and crunch as you snap the crackling between your teeth. It's all about the little things, right? Wipe that drool off of your chin because we're now getting into the stars of the show: the mains. We finally agreed upon the cocoa venison ($34) and the roasted lamb neck ($36). The venison is served with the invigorating tastes of juniper cabbage and candied pear. Fruity and fun, these flavours complemented the distinctive flavour of the venison superbly. Those flavours combined with the slightly bitter notes of cocoa and a subtle saltiness created a harmonious blend of exceptional tastes. The cuts were perfectly pink and had a divine texture. Now onto the lamb. This was a phenomenal dish. I gasped as my fork glided through the meat and my mouth watered as it pulled apart effortlessly. Proudly presented on a dazzling red bed of fregula, sweet beetroot pickle and crunchy walnut, all of these flavours blended magically. The savoury and flavour-packed lamb was married to the sweet yet tart pickled beetroot, and the walnuts provided a pleasurable crunch. I'm a slave to my sweet tooth, and I thought it would be rude to leave without trying a couple of desserts. To finish off the night was a chocolate miso parfait ($9) and a ginger creme caramel ($9). The parfait was something else. With a texture smoother than your Saturday night pick-up lines, who would've thought nirvana could be reached for $9? Delectably rich with a seriously sweet butterscotch sauce, get ready to fall to your knees in reverence. The creme caramel is soft and creamy beyond belief. With hazlenut sprinkled over top, you'll experience a delightful crunch. What I loved most about Salty Pidgin was the commitment to excellence. Not only to the divine food but from the level of service provided by the staff. 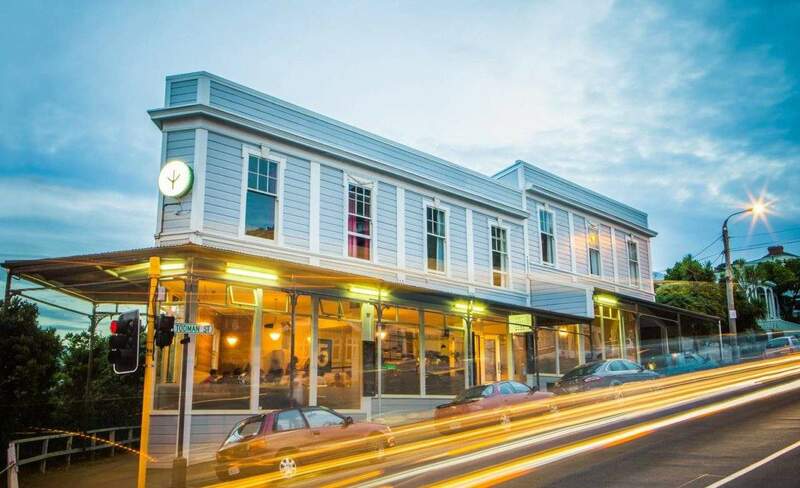 I can confidently and proudly say that Salty Pidgin offers one of the best dining experiences in Wellington.